Transforming the Neuberger: Should the Admired Museum Exhibit Student Work? Purchase is arguably one of SUNY’s most prominent arts campuses with nationally acclaimed music, dance, and art conservatories. Student artwork adorns administrative offices as well as dining halls; the college president regularly sends out calls for public art installations and students are provided resources to put on their own shows and exhibitions. To say the least, the college encourages artistry. 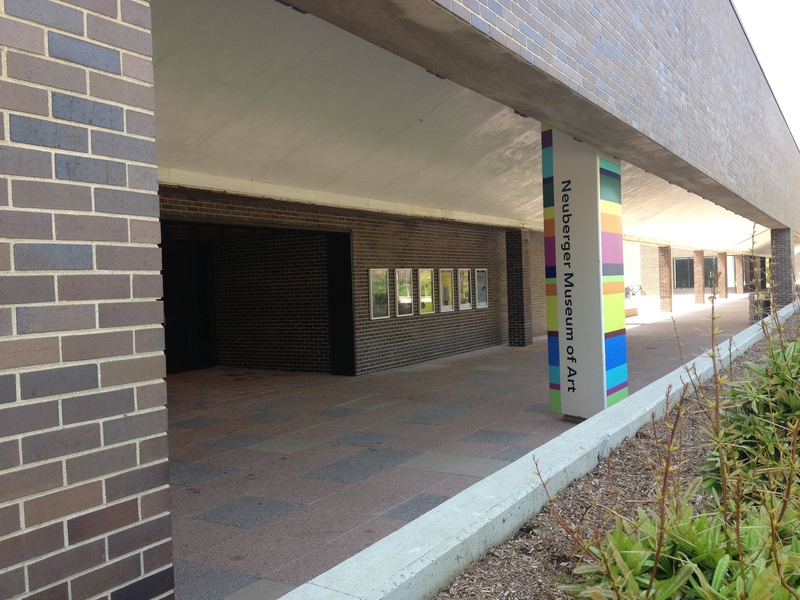 There is, however, one place on campus where student artwork surprisingly plays no part: the Neuberger Museum of Art. On its website, the renowned museum claims itself an “integral part of Purchase College.” Yet, according to its director, Tracy Fitzpatrick, the museum unequivocally does not “exhibit work by students.” Does that pose a discrepancy? In addition to an impressive schedule of rotating exhibitions, the Neuberger has an astounding permanent collection, touting work by legendary artists like Jackson Pollock, Willem de Kooning and Max Weber. And while it is a privilege to have free access to such terrific art, it appears rather strange that the museum considers itself an “integral part” of the community when it strictly does not exhibit its homebrewed talent. Wouldn’t it seem appropriate that the museum, given its geographic location, give the artistic community it serves some type of recognition? Now, I’m not proposing that the Neuberger should exhibit student work simply because of affiliation – the privilege should be earned, not given. The museum is a prestigious space and artwork exhibited there should live up to the rigid standards established by the museum’s mission statement, which avows to “facilitate the production of new art.” The same statement notes that the Neuberger seeks to embrace “the highest standards of artistic, academic and professional excellence.” Curators adhere to these guidelines while considering “professional” artwork for exhibition and if student artwork were to come under the same curatorial magnifying glass, it should be evaluated in concordance with the same standards. This would ensure the “excellence” that the museum promises its visitors while synchronously providing the campus artist community with an inspirational goal to strive for. As a poetry editor for Italics Mine (and a devoted visual art enthusiast), I’m convinced that at least some of the work crafted in the visual arts building on campus could, and should, make the cut. At Italics Mine, my fellow board members and I are already in the business of developing new ways to showcase the talent of the student body. With generous support from the college administration, we publish two print issues per year and are currently in the process of expanding our web presence. Ours is far from the only outlet that Purchase artists and writers can have their work showcased in; yet, I feel we need more, rather than fewer opportunities, particularly for visual artists. One possible option could be an annual student exhibition at the Neuberger for which student artists would submit artwork. Curatorial staff would select the best pieces, which would – per the museum’s standard – be on view to the public. While it is superfluous to go into further detail about the form that student exhibitions at the Neuberger could take (that must be up to curators), it only seems right to at least entertain the idea. For when young artists have their work appear alongside the work of more accomplished artists, the impact is profound. Not only does it shine light on exciting new material, but it also facilitates an inclusive atmosphere – something many contemporary literature and art journals strive for. In the case of lit journals like A Public Space and n+1 (both of which are great sources of inspiration for Italics Mine) the result is never a diminishment of quality, but an intriguing breadth of content from a wide variety of perspectives. With the Neuberger, we have an already existing opportunity to create something similar on our own campus. The starving artist cliché is overused; yet, it is not without reason that it exists. Once matriculated, many visual arts majors will have to take on day jobs to sustain themselves while their art becomes a labor of love, second to their primary job. Some will even have to put their artistic dreams on hold altogether – a brutal fact, but nonetheless a reality. It is particularly important for an arts college that aims to promote creativity, openness, and individuality, to acknowledge these facts and provide opportunities that better prepare student artists for the harsh realities that await them post-graduation. And what better way to do that than granting them the opportunity to – if they work hard enough – have their work exhibited at a nationally renowned museum? Such an initiative would not require much effort from the Neuberger, but could bring life-changing recognition to our aspiring artists.